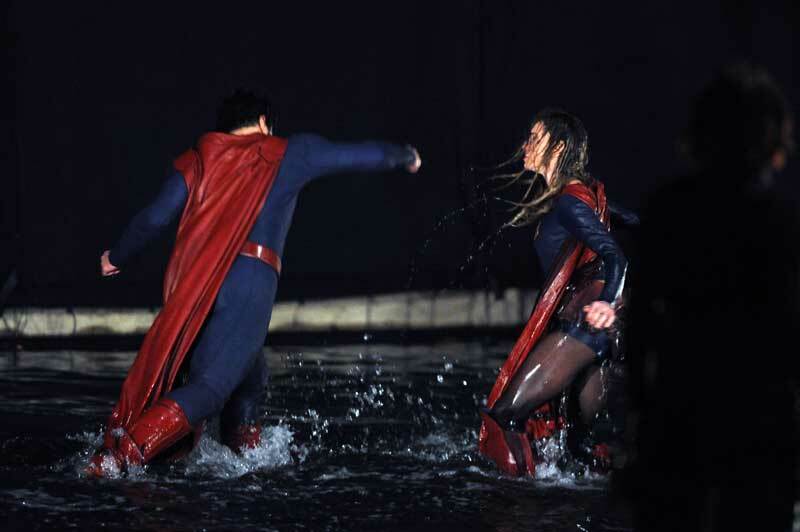 Supergirl and Superman were spotted FIGHTING each other in this amazing scene! 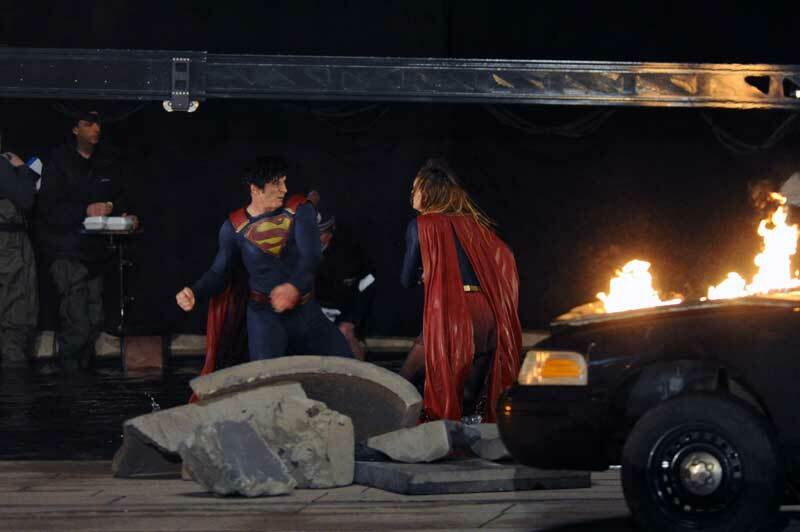 Supergirl and Superman were spotted FIGHTING each other in an amazing season finale on the streets of National City! 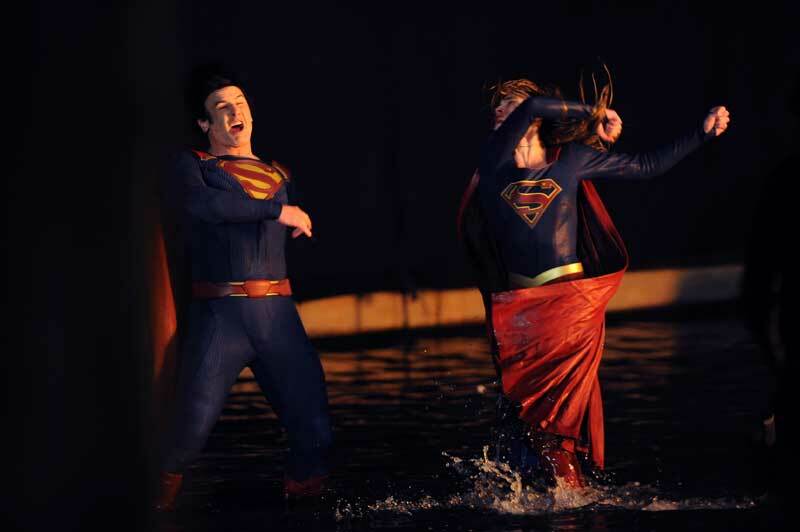 What looked to be a stuntwoman and a stuntman replacing Tyler Hoechlin as Clark Kent/Superman and Melissa Benoist as Supergirl the whole scene was truly EPIC! 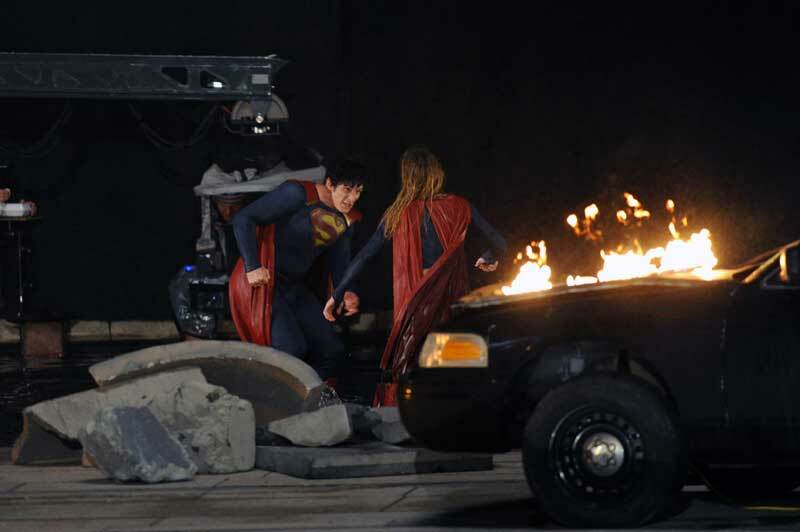 At first members of the public could be seen running away before explosions erupted in National City and even a Police car can be seen on fire. 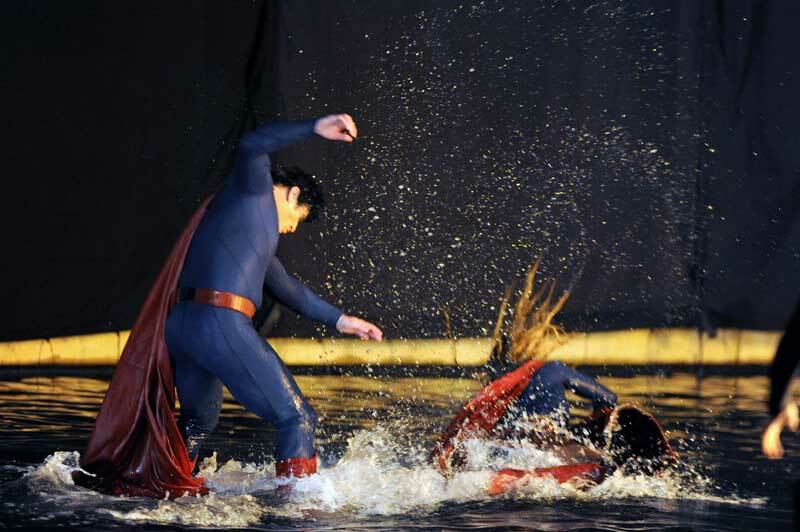 VIDEO: Supergirl FIGHTS Superman – Season Finale 2×20 SPOILER ALERT! 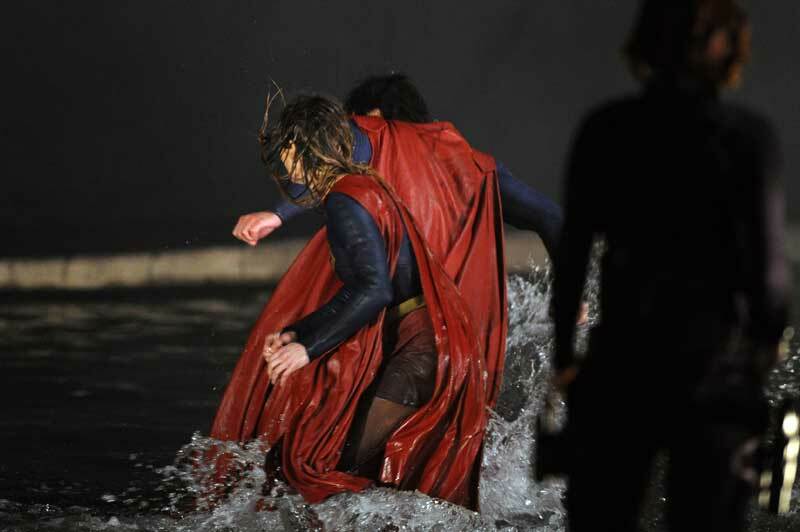 After one huge fight, they were then seen hugging. 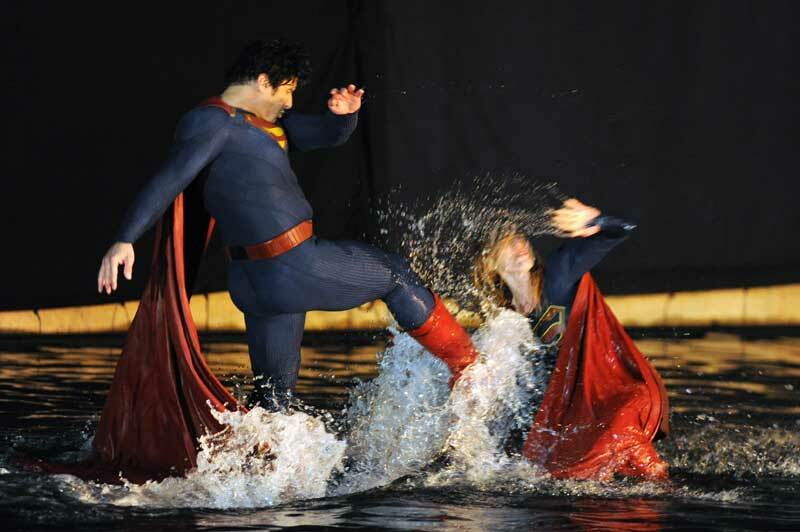 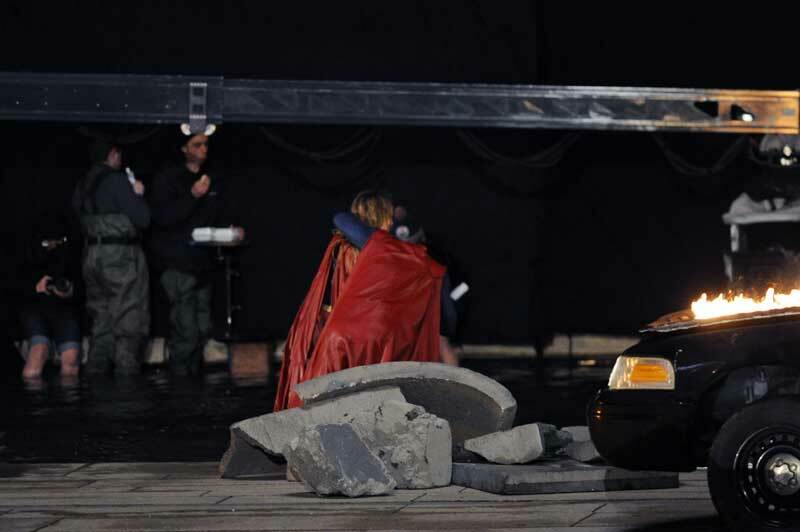 Was it the stuntman and stuntwoman taking a break in between takes or was it Supergirl and Superman making up? 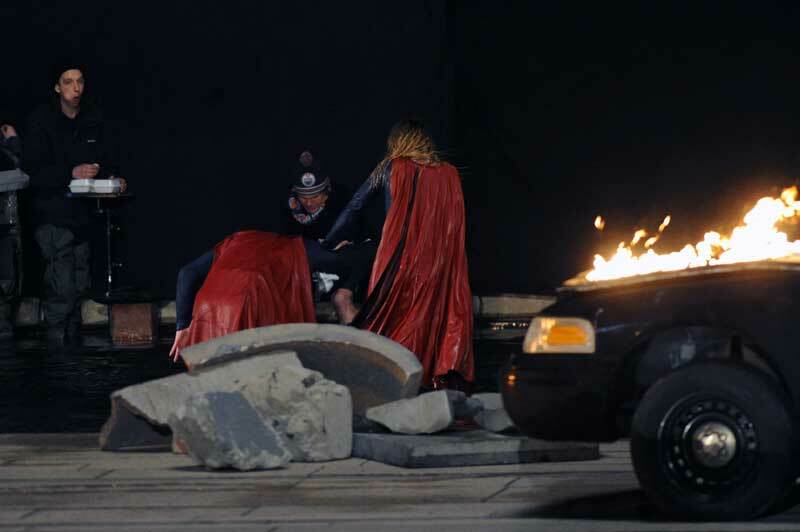 Supergirl Trivia: Kara’s cousin Superman first made an appearance in the season two premiere to help deal with a malfunctioning LexCorp spacecraft. 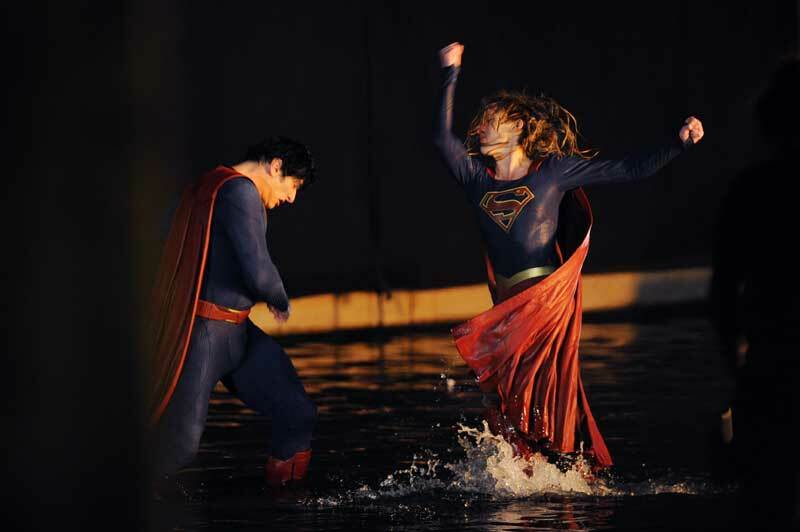 He then returned to Metropolis, knowing that Supergirl could handle things on her own. 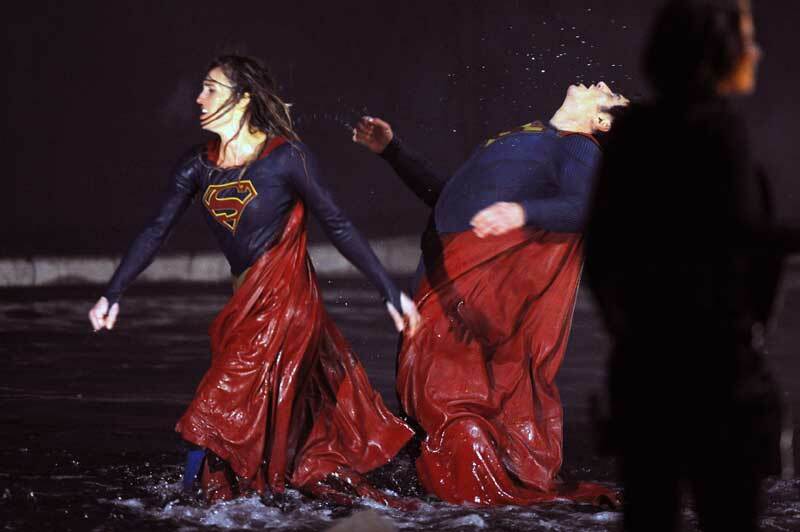 The episode is reportedly called 2×20 ‘City of Lost Children’ with Lonnie Chavis guest starring.